The key to having an air mattress is being able to inflate it whenever you need to get it ready. While they are typically an easy process, there is a lot that you need to be ready for when you’re buying a brand new air mattress. Learning how to blow up an air mattress multiple ways can help you when you’re without your typical tools. Having a backup plan can really make sure that you’re ready for any guests or for your night out in the woods. If this is the first time that you’ve inflated mattress, then you may need to take some extra steps when you’re inflating the mattress. To put it simply, you’re going to expand the mattress a few times first before you actually inflate the mattress. This is a long process that you should probably do before you take the air mattress somewhere or want to have someone sleep on it. You will inflate the air mattress most of the way, then let it sit. After a couple of hours, you will deflate it, then inflate it again. After another couple of hours, you will deflate the mattress one last time. At this point, you can store away the mattress or you can inflate it and test it out. By inflating the mattress repeatedly, you make sure that everything has stretched before you start applying pressure to it. This can help the air mattress last longer. However, if you aren’t using the air mattress for the first time, you will need to just unfold or unroll it onto the surface that you’re intending to sleep on. Of course, you can move the air mattress around after you have inflated it, but it is often more convenient to just inflate it where you intend to sleep. This will cut down on some additional hassle that you might have when moving the mattress. If you’ve got a pump that is built into your air mattress, then I’ve got some good news for you. The process of inflating your mattress will be as easy as flipping a switch. And it will also take little to no time at all. Learning how to inflate an air mattress with a built-in pump isn’t really that much of a process. You may have to get used to the configuration of buttons, as you might have more options than just inflate or deflate. Many air mattresses that come with a built-in pump have options for firmness and some even come with options for keeping the air mattress full during the night. You will have to do some reading in your air mattress’s manual to make sure that you know exactly what you are doing, but the process for an air mattress with a built-in pump is relatively easy. Getting an external pump can be a great thing, but there is some learning that you will have to do in order to be able to quickly fill your mattress with minimal effort. Learning how to inflate an air mattress this way will depend mostly on you and the kind of pump that you have purchased. There are a couple of options for manual pumps. These can look like bicycle pumps or they can even look like bellows. You will need to familiarize yourself with the setup, which may involve reading a manual. Some companies that produce air mattresses also produce the pumps that can fit them, so you may not have to look too hard for a pump that will work with your air mattress. A manual pump might be more effective for some people since you won’t have to worry about batteries or a plugin for the pump. It will take a little bit more work, but the pump speeds up the process compared to how you would feel if you were trying to do it with only your lungs. These are a step above the manual pumps and a step below the built-in pump in terms of convenience. These pumps can be a little bit bulky depending on the design of the pump. These pumps can require a plugin or can have a battery power source. These provide the convenience of a built-in pump while being outside of the air mattress. These pumps will also have manuals, but they will also likely have a switch that you flip to start the process. One of the most common problems that people have, when they are intending to use an electric pump, is that the connections don’t always match up, even if they are incredibly close. In these instances, you may need to sit and hold the connection closed to make sure that the pump is working effectively. This may not always be an option for you. 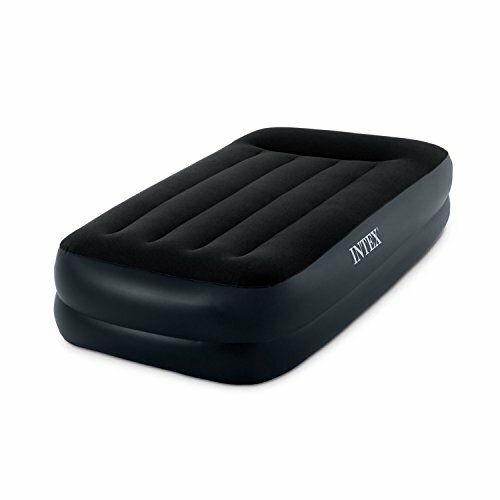 It will depend largely upon the air mattress that you are working with. You might feel a little bit like you are blowing up a pool toy when you are trying to inflate the mattress. You will want to take some time when blowing this up because you will be using all the air in your lungs. Go slow and stop when your head gets light. Of all the ways to inflate an air mattress, this isn’t the most reliable. 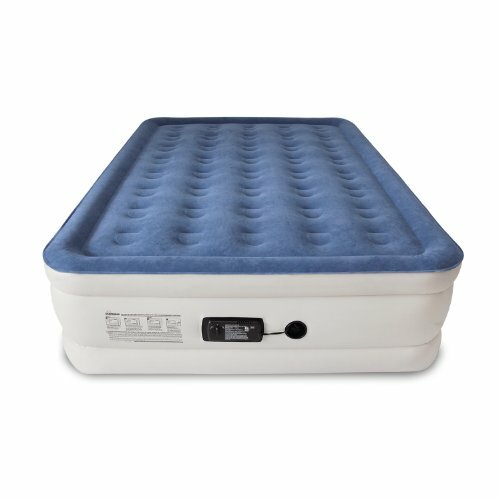 It might not even be possible depending on the connection that your air mattress uses in order to get air into the mattress. There are many different ways that you can know how to inflate an air mattress. Generally, using a pump is the only way to do it, but if you can use your own lungs to fill the air mattress, then it might mean storing one less item or taking one less thing with you while you are on the trail. However, you decide to inflate your air mattress, make sure that you understand what’s written in the manual for your pump or for the mattress itself.